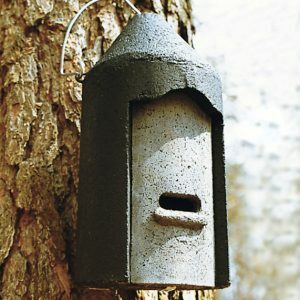 This box was developed exclusively for Bats and unlike Bat Box 2F cannot be converted into a Bird Nest Box. 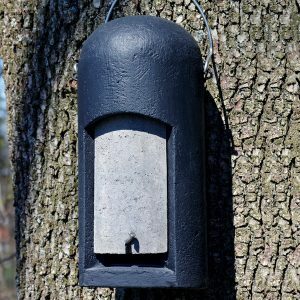 It is made to the latest findings and has been used successfully in practice for many years. 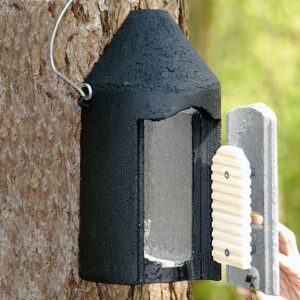 The intermediate floor ensures that it provides the best possible protection against small predators, draughts and bright light. 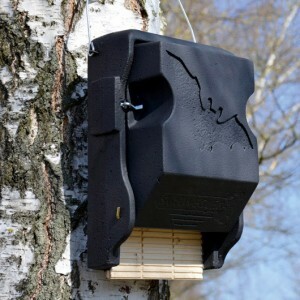 With two access options: The Bats can land on the tree trunk and climb in from underneath or fly away directly from the wide entrance area at the front. 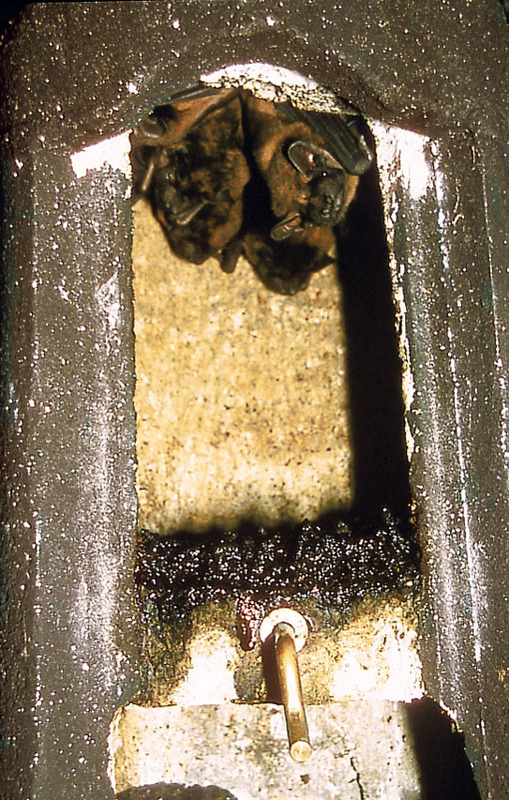 The roost is largely self-cleaning, as the droppings can fall out of the bottom of the cavity. 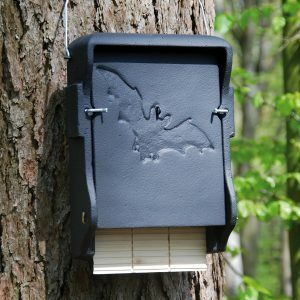 Nonetheless, checking and cleaning are recommended if the Bat Box is used by large numbers of Bats. 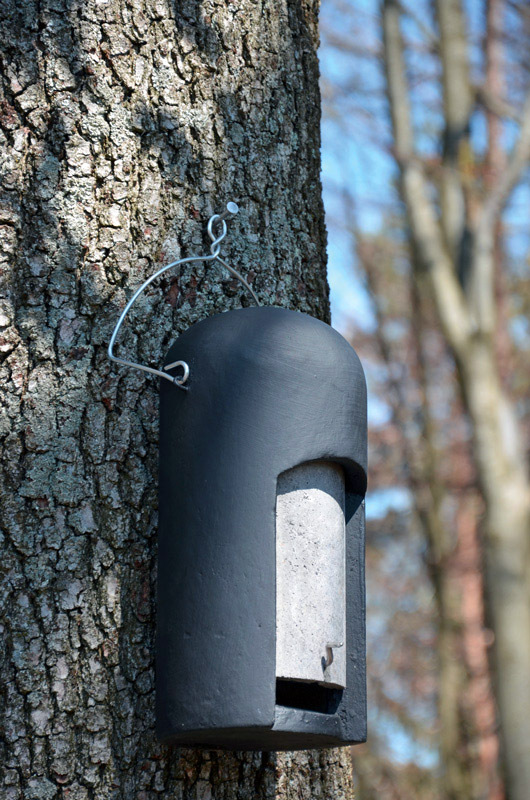 This type is especially suitable for forests and parks. Result from practice: 28 Common Noctule Bats (Nyctalus noctula) with 9 young Bats in a Bat Box 2FN.